ПЭЧВОРК, КВИЛТ - "Quilts and More"
Модный журнал по шитью в стиле квилта и пэчворка. Quilts and More promises simple, fresh, and fun projects. 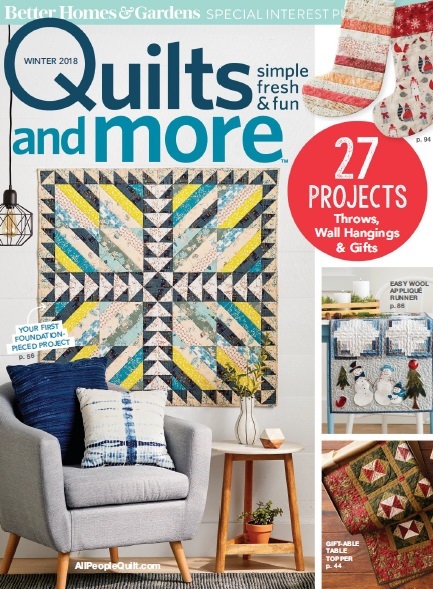 Make easy quilts, bags, pillows, and pincushions using clearly written instructions.Every digital issue includes the pattern pieces found in the corresponding print version.